Jill McGown was born in Campbeltown, on the Mull of Kintyre, Scotland, the daughter of a fisherman and a secretary. When she was 10 years old, she moved with her family to England. She attended Kettering Technical College and worked as a secretary and administrative assistant for several British companies, including British Steel. In 1980, she decided to try writing fiction and became a mystery novelist. She was best known for her series of 13 novels featuring Chief Inspector Lloyd and Sergeant Judy Hill, one of which, A Shred of Evidence (1995), was adapted into a television film by Carlton TV in 2001. 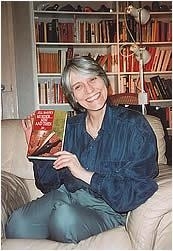 Jill McGown is currently considered a "single author." If one or more works are by a distinct, homonymous authors, go ahead and split the author. Jill McGown is composed of 8 names. You can examine and separate out names.